Anyone know what this insect is? It's in my dining room and driving me crazy. I just noticed it yesterday, it doesn't have wings. I have vacuumed and mopped and am deep cleaning everything, but am still seeing some. It looks like some kind of beetle. Put a few in a plastic bag and take it to a place that sells pesticides. It looks like a silverfish to me. They like to hide out in damp and dark places. If you google them, you'll find several suggestions on how to get rid of them. Good luck! It's definitely not silverfish because they look just like tiny fish with a silvery reflective look and they almost look like they are swimming when they move wriggle fast. I've seen also very similar little insects that are dark brown. Silver fish have more of a silver blue tint which shines like a tiny fish. I don't think this is a silver fish. If they keep appearing and I think they look like bed bugs. Aghhh. Get diatomaceous earth and spread it all over the house. It dries up their bodies. Amazon sells it. Make sure it is food grade, then it won't hurt you or your pets. 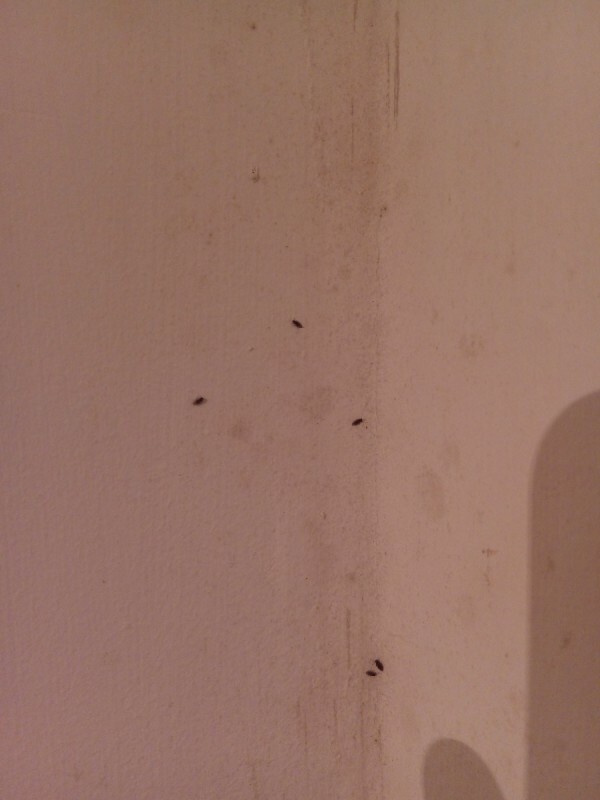 These are definitely not bed bugs and it is very bad for your health to spread diatomaceous all over your house. It is a food grade product but that only means it will not kill you if you ingest it. It is however, very dangerous to breath it in so you should only use it cracks and voids so it can not be stirred up when fans, air conditioners, heaters and vacuums can stir it up into the air. I usually compare it to baking flour. Yes you can eat it but do you really think it is safe to be breathing it in? Thank you. I have been going crazy. I only see like one every week but I can't figure out what hey are and how to get rid of them..
Hi, I was wondering if you ever found out what these were. I have the exact same looking thing on my window sill at work. I had some water leakage problems lately which led to black mold on my bedroom walls. 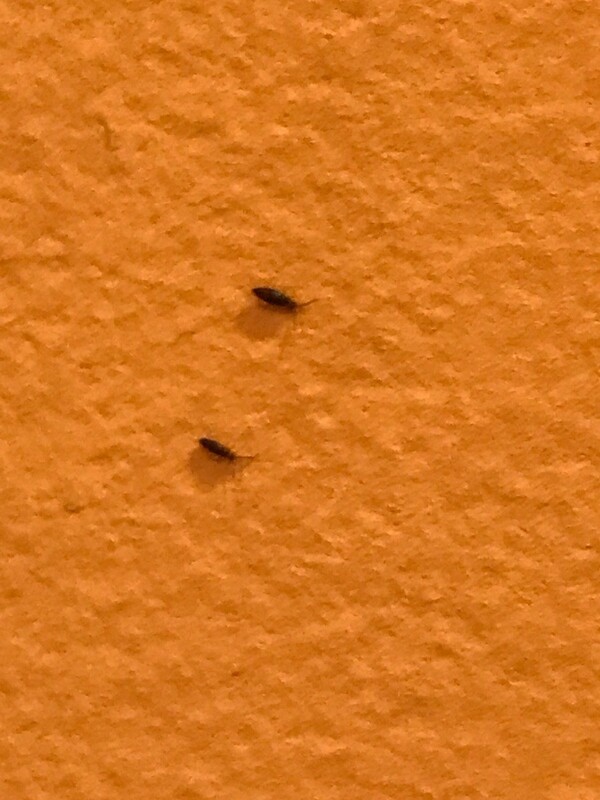 Now there are a lot of these little bugs in the still damp corners of the bedroom. 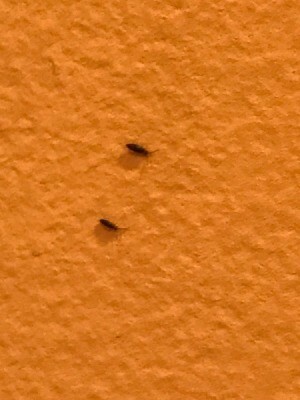 What kind of bug are these and how do I get rid of them? It's probably a water bug. Bugs are attracted to food, warmth and moisture. If you get rid of the food and the water, they will go away. 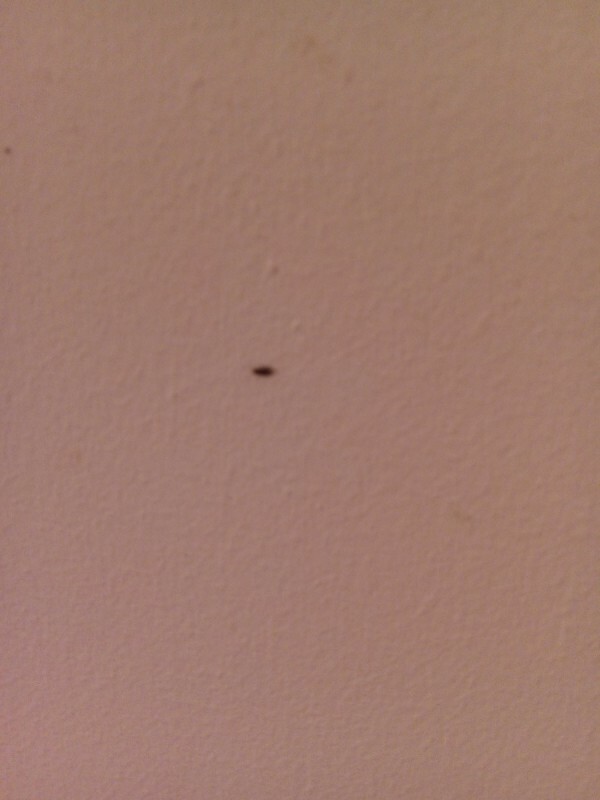 You can spray the corners with insecticide, provided you have no small children or pets.